Whether we recall our dreams or not, we all dream. Some dreams are clear, others are not; while there are some dreams that make us feel confused and even afraid. 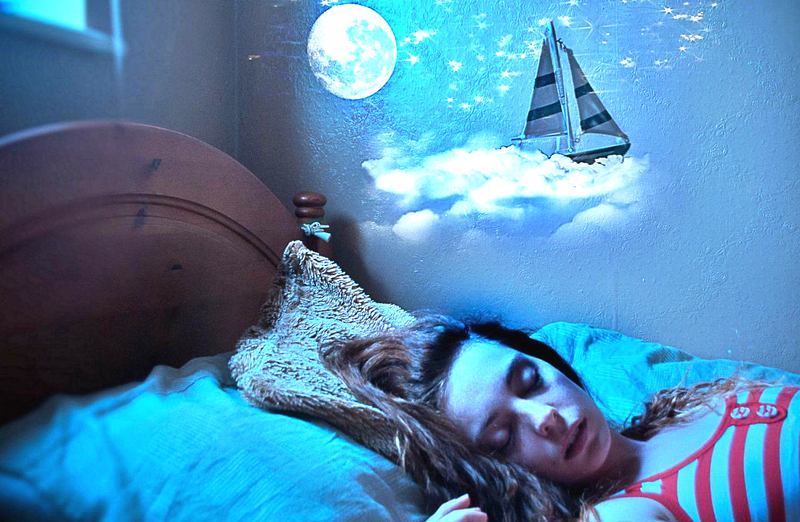 But no matter how your dreams make you feel there are 6 basic types of dreams. Once we know what type our dreams fall into, it is easier for us to look for the profound meaning behind it. As the word implies, clearing dreams assist us in cleaning out every emotional and mental inputs accumulated from our day. Clearing dreams process the release of our useless concerns and integrate into our subconscious the helpful ones. It’s our mind’s way of unwinding and making our bodies relaxed. Clearing dreams, however, are not necessary when we make ourselves calm, focused and still before going to bed. These dreams are usually consisted of fragmented pieces from moments of your day, insignificant memories and mundane daily things. Teaching dreams provide us information about our current problems and give us wisdom from our higher consciousness. At times, we recall of receiving an information we never knew before. We might receive inspirations or even find discoveries from these kinds of dreams. Some of these dreams are finding ourselves sitting in a classroom, giving or hearing a lecture, or walking with a teacher or mentor in a pleasant environment. 3. The Problem Solving Dreams. Our higher consciousness sometimes provides solutions to our predicament through our dreams. Many inventions were solved and thought of while dreaming. We can receive help with our job, health, relationship or any other issues we are preoccupied. We have a valuable inner resource if we only know how to connect and ask assistance from our dreams. When you dream these kinds of dreams they might be anything. However, the one way you can recognize such dreams is when you wake up and realize how the intensity from some message inside can help you solve what you preoccupy with. Precognition means foreknowing, and knowing a potential outcome in the future is what precognitive dreams provide. Hence, precognitive dreams make us understand that our minds operate beyond the linear time and direct us to look into ourselves for consciousness expansion and spiritual transformation. These kinds of dreams can be very difficult to differentiate, however, there is usually an image that stays with you when you wake up and you feel it’s important. Deja vu or having witnessed a scene before it actually happens often comes from these kinds of dreams. Prophetic and visionary dreams focus more on our spiritual growth. they provide guidance and messages from the highest dimensional level of our awareness such as our soul or the source. In short, it’s a dream that stems from our highest level of consciousness. The messages it provides are often collective or personal and the experiences are beyond that of which we commonly go through. These kinds of dreams leave you with inspiration and spiritual peace when you wake up. From this level of consciousness, prophesies and spiritual teachings arise paving the way to feeling the power of the Universal love, understanding, expansion, and Oneness. It is here where lucid dreams take place. 6. The Outside Interference Dreams. Outside interference dreams have more to do with what is going on in our physical environment. All of these don’t have direct messages on their own. If there is something you can learn from here, it’s preferring to sleep in a comfortable and quiet room. Our subconscious mind picks up from the disruptions of the outside sources such as ringing phones, barking dogs, bright light, and even a full bladder. Our mind shapes and colors these disruptions inside our dreams as a part of our dreams. Some people don’t refer to their dreams to solve their present problems. Nevertheless, we have the ability to ask from our highest consciousness anything we want before sleeping to give us higher wisdom.